An FBI informant who has helped catch some of the world's most dangerous terrorists is coming out of witness protection to warn that a terrorist sheik in prison remains a significant threat to the U.S., as the nation marks the 20th anniversary of the 1993 World Trade Center bombing. Emad Salem is urging the U.S. to keep the ailing 74-year-old sheik Omar Abdel Rahman behind bars and to not transfer him, even as governments overseas continue to press for his release. 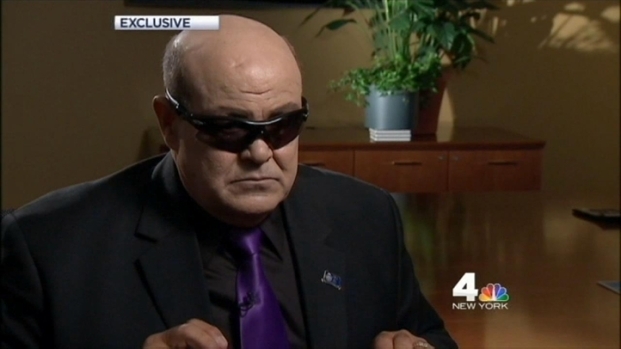 "He will kill Americans," Salem told NBC 4 New York in an exclusive. "He will kill anyone who disputes what he says with a fatwa." Salem, a one-time Egyptian military officer, had warned officials about the looming 1993 World Trade Center bombing but his warnings were ignored after a lie detector test was inconclusive and he said he would never testify at any trial. An FBI informant who has helped catch some of the world's most dangerous terrorists is coming out of witness protection to warn that a terrorist sheik in prison remains a significant threat to the U.S. Chief Investigative reporter Jonathan Dienst has more. After the bombing, Salem agreed to become an FBI informant and managed to become the sheik’s personal assistant and bodyguard. Salem was able to record the sheik ordering the killing of Americans during his time in Jersey City and Brooklyn. Salem was also able to link the sheik to the 1993 World Trade Center bombers. Six people were killed and more than 1,000 injured in that first attack. Now Salem is concerned about the mounting pressure on the U.S. from Egyptian President Mohammed Morsi and other Mideast government leaders to get Rahman out of American custody. In one letter dated Feb. 26, 2008, the justice minister of Qatar relayed a request from Rahman's family asking U.S. officials to have him transferred back to the nation to serve the rest of his sentence. They said they wanted to be able to visit him more easily, according to the letter by Qatar Attorney General Dr. Ali Bin Fetais Al Marri. More recently, Rahman's sons wrote on their family website that "America will pay a terrible price" if he is not released soon. "The rain begins with one drop. America should expect more violent reactions if it does not release the sheik," the sons wrote on the website. A bomb explodes at the World Trade Center in 1993, trapping thousands of workers in the smoke-filled towers and destroying parts of the building and the train station underneath. Six people were killed. Watch some of our special coverage from that day. The sons pointed to the killing of the U.S. ambassador in Benghazi as an example of terrorists acting on behalf of the sheik. The terrorists in that attack are believed to have called themselves the “Sheik Omar Abdel Rahman Brigade” in honor of the blind sheik. The family also pointed to the recent attack on a gas plant in Algeria where hostage-takers demanded the sheik be set free or American hostages would be killed. The sons said they are hopeful Morsi will make progress in working to free the sheik next month or will "review their options." Experts said the sheik’s family is intensifying an already active campaign to both seek the sheik’s release and inflame passions among the sheik’s extremist followers. The sheik has also been able to call his relatives twice a month from his prison, NBC 4 New York has learned. Officials said the calls are monitored, and his relatives tell NBC News' Ayman Moyheldin that the calls are personal in nature and do not include calls for a violent jihad. But in one posting on their website, Rahman's sons posted a political message they said was from the sheik. In that message, Rahman urged Egyptians to vote for Morsi in the recent presidential election "because he is the candidate who represents Islam and represents the revolution." A Federal Bureau of Prisons spokesman declined to discuss the specifics of the sheik's phone privileges. But Rahman's lawyer, Lynne Stewart, was arrested in 2002 and later convicted for her role in sneaking out terror messages for the sheik in which he called for more attacks on Western tourists in Egypt after the Luxor massacre killed 58 people. A Justice Department spokesman insisted the U.S. government will not be swayed by the appeals from Mideast leaders calling for Rahman's release. “The blind sheik will spend the rest of his life in a U.S. federal prison. Period,” said DOJ spokesman Dean Boyd. Still, Rahman remains an inspiring figure for al-Qaida and radical jihadist figures across the globe. Salem said he is risking his life stepping forward because the sheik and his followers want him dead. “They are seeking to get me killed to be a feather in their hat, that 'We killed the man who helped America,'” Salem said. But he said not coming forth to warn about the potential threat the sheik and his followers still pose could be an even greater danger. 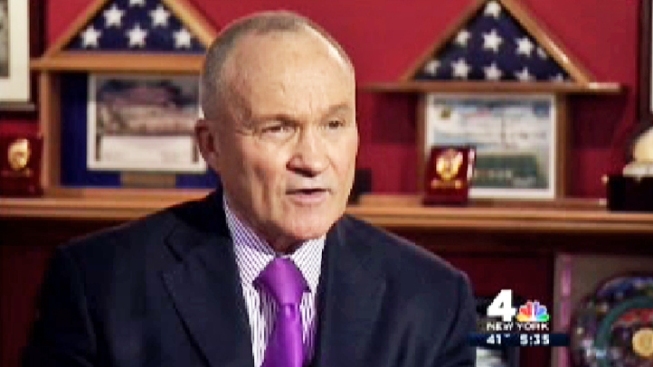 Police Commissioner Ray Kelly said there is no new specific threat to New York but intelligence officials are aware of the Rahman family website and the terror warnings posted there this week. "We always take every threat seriously," said Kelly. "We can't be cowed by threats. We need to be resolute." He added that the U.S. needed to make absolutely sure Rahman will never be released from prison here. While security experts said the sheik does not have operational capability from prison, they agree that as long as he is alive in a U.S. prison he could serve as inspiration for extremists to act.